I'm the mother of two young boys (an almost 3-year-old and a 1.5-year-old) with ferocious appetites. Feeding these boys is almost a full-time job in itself! Although I would love to spend more time in the kitchen slaving over the stove, it's hard to do with two little ones running all over the house wreaking havoc everywhere they go. So I have to be able to whip up delicious meals that are fast and easy. Like this one. 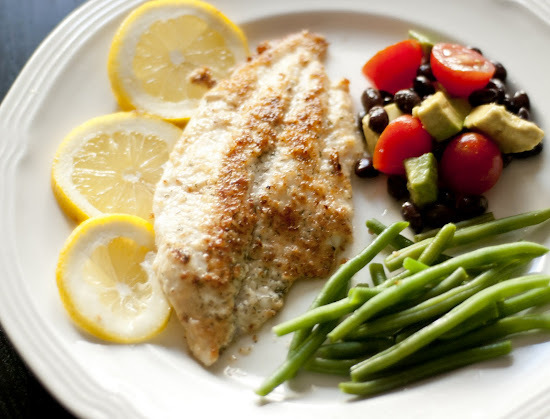 Tonight's menu was fried catfish, steamed green beans, and avocado salad. First off, I took a cup full of organic frozen green beans and placed it in the steamer for about 6-7 minutes until tender. 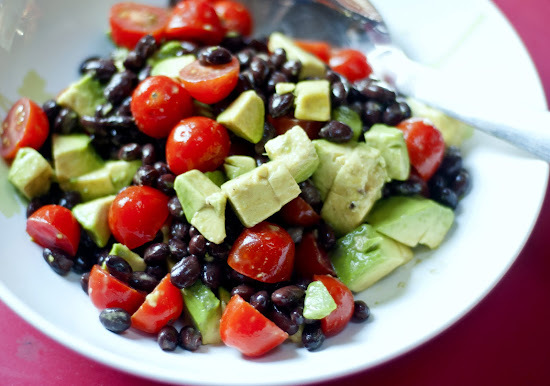 Then I chopped up an avocado, sliced a handful of cherry tomatoes, threw in a can of black beans (washed and rinsed first), and sprinkled a little fresh lemon juice to make a quick side salad. 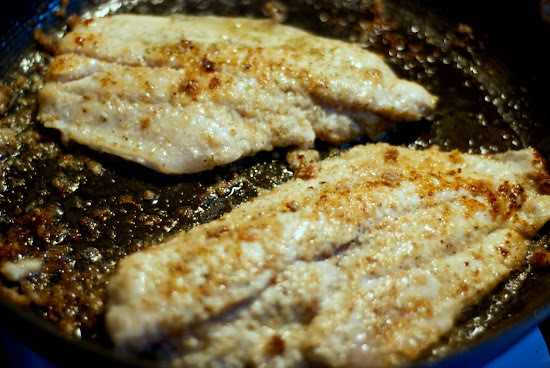 The farmed fresh catfish was bought from Costco and came in a pack of 6 (we love us some Costco; in fact, it was one of CJ's first words). I threw the fish in a bowl, seasoned it with garlic powder, salt, pepper, old bay, fresh lemon juice, and added just a touch of bread crumbs. Then I threw some olive oil on a frying pan, fried the catfish on each side for about 6-7 minutes. I wanted to take a few more shots of the dish while the sun was still out. But as I said before, I have two little ones with ferocious appetites and trying to do food photography when you've got a hungry toddler around can get interesting. By the way, do you see what he's aiming for? I don't know if anyone else has this "dilemma", but this boy loves his vegetables. CJ will clean off the green beans, tomatoes, and avocado first. I have to force him to eat the the protein on his plate. Yes, yes. I've been told this is a good "problem" to have. What makes me happiest as a mom is to see the boys eat and enjoy every morsel of something I've made. Not every meal is a huge success, but tonight was a good night. i completely agree - the joy of cooking for me is seeing my beloveds enjoying the food :). You are the supermom, Rachel! To cook such wonderful meal like this for your boys! Yes, you have a "good" problem. I have one boy who will only meat and carb. :( Blessings to you, friend. Your meal looks soooo delicious, and you are lucky because your boy is eating veggies..mine would not even try cooked...all of my three kids love raw! Thanks for sharing , it was awesome post and photos too! This looks so delicious! 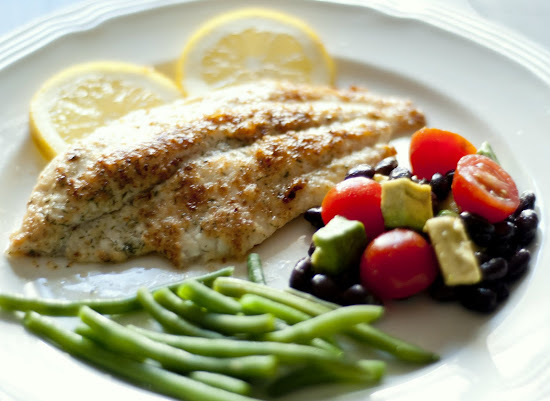 I will surely make this, but since I've never seen catfish here, I might use tilapia. The photos are amazing too ! I laughed out loud when I read that Costco was one of his first words!! Oh, I know what you mean. And I can identify with the boys eating and eating and eating. 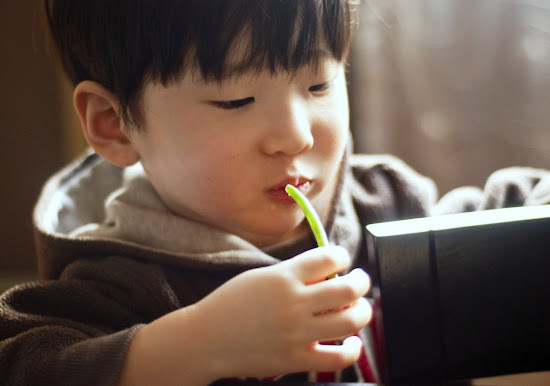 I thought my son ate a lot, then he became a teenager and wow... now he really eats a lot! And how he keeps that perfectly flat stomach, I don't know. Nicely done on the healthy meal not taking hours and hours to make. I love it! Kim - I worry what their appetites will be like when they're bigger! I will definitely have to go back to work then just to afford feeding them. Hi Rachel. I love your new look and name! I'm been AWOL from the blogging world for a while and am just now catching up. I can so identify with your photos with the little hands in the frame! Do your boys want you to photograph their food as well? Whenever I'm taking pictures at the table, my boys both want me to take a picture of their plates. My oldest even styles his food. Too funny! @Time for Good Food - LOL, Rachel! My boys aren't quite at the point of styling their food, but I think it's hilarious and sweet that your boys do that! CJ will, however, want me to take pictures of him instead of the food. But let me tell you -- it's much easier getting a good shot of something that doesn't move. My boys just can't sit still. By the way, your sons are quite dashing! That is a high quality problem to have, something that I hope catches on to my kids. 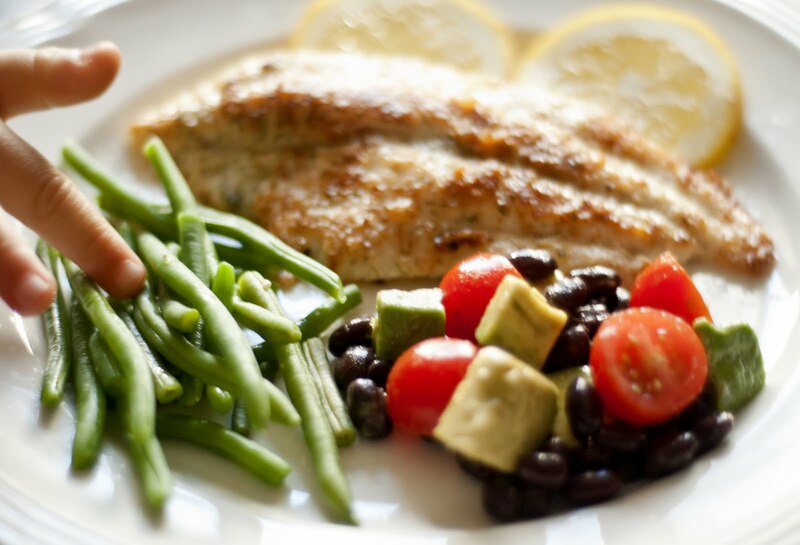 The food looks so tantalizing that it's no wonder your kids love vegetables. Love it. I'm going to have to pick up some catfish and create this meal for my family. Thanks. 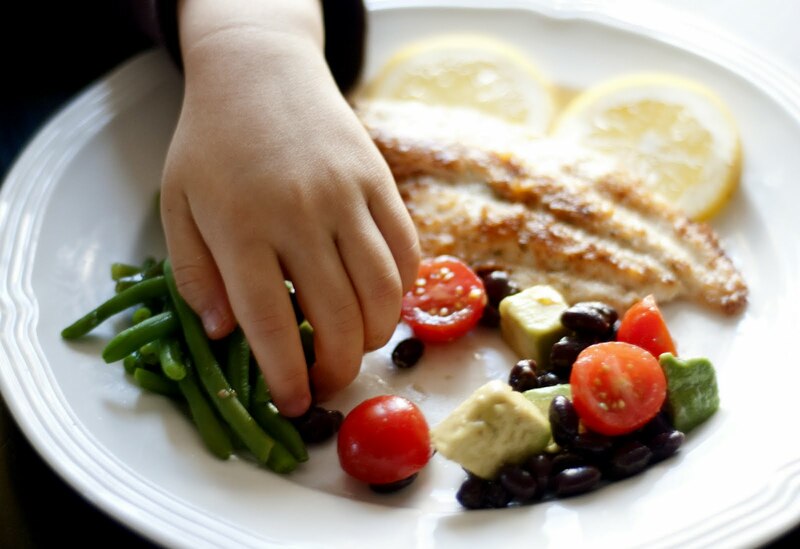 Keep your meal ideas coming...there's a world full of moms wondering what to make for dinner.